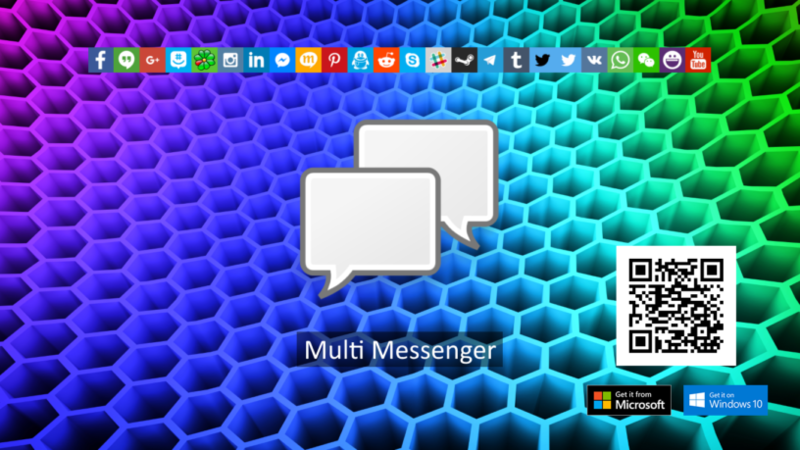 Multi Messenger is your All-in-One messaging app, that combines 25 services like WhatsApp, Facebook Messenger, Skype, Discord, Telegram and many more into one single App. Multi Messenger does not collect any personal information. Account information will only used to communicate within the services you use. In case the application crashes, Multi Messenger uses Microsoft Visual Studio Application Insights to track the crash log. The log contains information like OS version, Device type, Memory (MB), Mass storage (GB), CPU speed (GHz).